If none of our education classes fit your needs, we still have you covered! If you are looking to improve on a particular skill we have the option to customize a class to practice that exact skill you need. Set up a private lesson with us and you will see the improvement before your next fishing adventure. 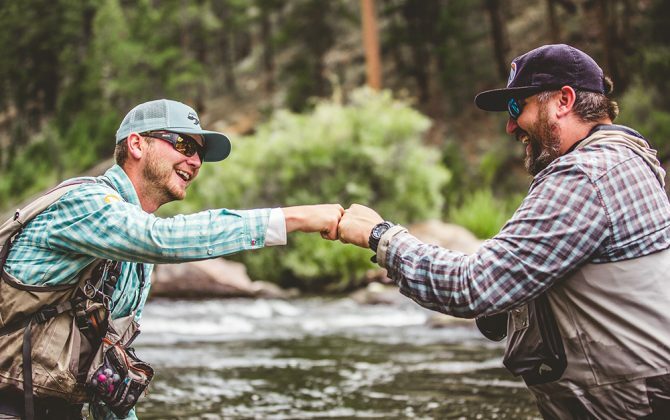 Our private fishing lessons are an ideal way to learn the intricacies of fly fishing, hone in your skills, or help take your angling abilities to the next level. All of our private lessons are catered to the individual, so you can rest assured that your time on the water will be well worth the investment. We can conduct these lessons on private or public waters, and the timing and topics covered will be determined by you our client. Conducted 365 days a year, we are always available and willing to take you out on the water and show you all that fly fishing has to offer.